Several times in the past I have been asked to lecture on the difficult process of buying an instrument. 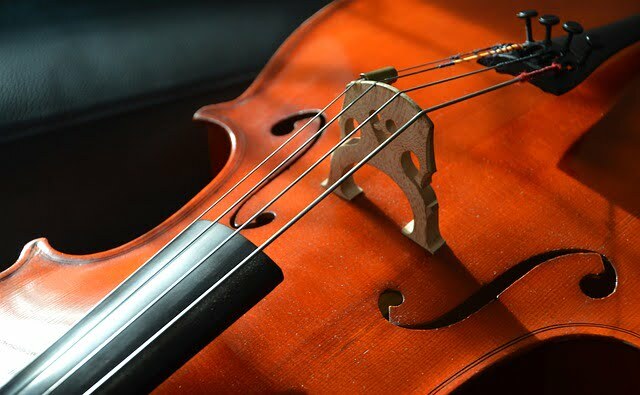 Obviously, choosing a new or older instrument to add to one’s collection or to replace an existing instrument, is a very individual procedure, but there are some objective criteria that should be considered during this process. * the current instrument tonally doesn’t meet the players desire, or the player’s talents have exceeded the capability of the instrument. * the current instrument is in a poor structural condition, affecting its functional and tonal capabilities. Remedying this situation may require costly restoration work , and of a somewhat speculative nature, that may not be acceptable to the present owner. 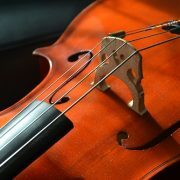 * the final situation occurs when a player is “in the right place at the right time”, happening on an instrument for sale that just seems desirable. In other words, the player may come in contact with an instrument that simply captures his/her fancy physically, tonally and esthetically. Ironically, this often happens to players who were not necessarily in the market to purchase an instrument. Unfortunately, the process of choosing an instrument is not always as easy as finding the reason to leave the old one behind. As a dealer with a respectable amount of instruments for sale both old and new, I am often asked to “pick” a great instrument. But a great sounding instrument is a very subjective decision. I usually tell potential buyers that first opinions are generally the best opinions when they have several instruments to evaluate. This way, it is fairly easy to eliminate what does not initially sound or feel good and it isolates the instruments that are of primary consideration. Without question, any instrument good or bad, will improve with time and use. But the player must feel an initial affinity with the instrument that is quite strong prior to the financial and long term commitment to achieving those results. The improvement over time should be considered a bonus to a chosen instrument. Aside from physical and tonal attributes, another factor that certainly is of major consideration is financial involvement. I think an individual does himself and the seller/dealer an injustice by not being realistic, or up-front about financial limitations. To consider instruments in all price ranges when that is not a financial possibility, can seriously complicate the issue of picking an instrument. Looking at instruments in an unaffordable price range only reinforces (probably lesser) qualities of an instrument for sale at a lower price. For individuals in the in the initial stage of assessing instruments, “opening the flood gates” and looking at instruments of all price ranges may be of educational benefit. But from my viewpoint as a dealer, it really is my obligation to do my best to supply a potential client with the best possible instruments from which to choose, within their personal financial parameters. I do sometimes bring instruments of higher value into the discussions, but only if the client or I have the financial leeway, allowing for flexibility. To show instruments of higher pedigree, or in a higher price range is misleading and often counter- productive to all parties concerned. Dealers who do this openly, in my opinion, either do not have a good selection of instruments the determined price range, or they are trying to bait a client into a higher price range. Good dealers do not follow such a practice. * the seller’s policy in taking back the instrument, or in standing behind existing repairs. When buying privately, it is important to look for an instrument that has been maintained by a respectable luthier, and that has proper certification by a reputable appraiser. The seller should also allow you to try the instrument on a reasonably limited time basis. This approval period would allow you to play the instrument in different acoustical environments, and equally important, to have it evaluated by reputable professionals. If these conditions are met, then I do not foresee any problem with purchasing an instrument privately. Unfortunately, all too often it is “buyer beware”. The purchaser may buy what on the first glance seems to be a great instrument, only to find out after the fact that it does not live up to his expectations. There are things he might have discovered, had he had more time and flexibility to consider other instruments, or ask for a second opinion. On the other hand, a competent dealer will offer many positive incentives for trying and buying an instrument. Most reputable shops you will be given a guarantee of condition and pedigree, but equally important, you have the option to trade the instrument back towards the purchase of an alternate instrument with full credit (assuming the instrument is maintained as it was purchased) . In most shops, this agreement is for an alternate instrument whether of same value or higher value and even in some cases, of lesser value. Finally, it is a fallacy to think that a dealer is charging you a higher price than an individual. If you look at recent auction prices, or even privately advertised sales, and then compare prices at reputable commercial instrument shops, I think you will be most pleasantly surprised! One final thought on this subject: we all strive for perfection, however, just as great people have flaws, so do great instruments have their shortcomings. A good player will compensate for any minor faults in his instrument, and concentrate on the many positive features that drew him to it in the first place. It is a waste of time to professionals and students alike to obsess about what great instrument may be ”just around the corner”. My advice is that if you find an instrument that offers you the most of the qualities that you seek and the price is fair, act upon it!